The shepherds were led out of darkness. This parallels the path each of us can travel to find the Lord in times of darkness. Christmas is a time of celebration. It is also a time of strengthening one’s relationship with Jesus Christ, born so many years ago, who is God in human form. Part of the beauty and underlying serenity of the Christmas season comes from the recognition that the Lord was born on earth in order to offer His diving blessings of peace and heavenly happiness to all of humanity. This historic story is beautiful. It is written with a deeper meaning which sheds light on how we can discover the Lord’s presence, even in periods of intense darkness in our spiritual lives. We are taught to think of the ‘night’ in the story as those times in our lives when we feel we lack the Lord’s guidance in our lives. It might be a time when a negative emotion, such as anger, greed or contempt, blinds the sight of our spiritual path. It might be a time when fear or self doubt rule over us. In these times the darkness and confusion cause us to wander off the path that the Lord provides for us. And still we are not alone. The angel came to the shepherds. These simple herdsmen were skilled at leading, feeding, protecting and caring for their sheep. In fact, the shepherds knew each sheep so well that the sheep were familiar with their names and the shepherds could direct simply by calling them. The shepherds were the first to hear of the Lord’s birth because the protective relationship that they had with their flock represents the part of us that first recognizes the presence of the Lord in our lives. 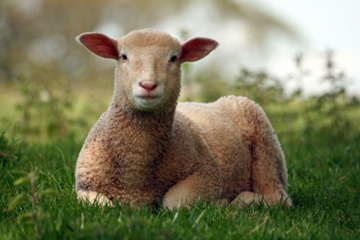 New Church theology teaches that a sheep represents a way the Lord blesses us in our lives. It’s something good, truly good, that is a gift from Him. It might be in the form of a relationship one has with one’s spouse. It might be a talent or skill, such as an artistic ability. The shepherds in the story represent the part of us that cares for these blessings, that protects them and provides for their development. They are also the part of us that seeks to connect our blessings with guiding statements from the Word. 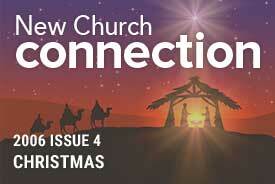 The message here in the advent story is uplifting. When things are dark and confusing, if we follow the life (represented by the shepherds) by looking after goodness that comes from the Lord, living charitably, and using the guidance of truth, we too will come to experience the Lord’s birth. Think of a person overwhelmed with worry. He is awake at night, afraid and unsure what to do. This person, when he begins to act as a spiritual shepherd by reflecting on how he can care for some goodness in his or her life and meditating on what guidance the Word provides for that, will be shown how to find the Lord. For example, meditating on a passage from Emanuel Swedenborg’s Arcana Coelestia 8455, “Peace has in it confidence in the Lord” might help that person to turn over those anxious thoughts to the Lord and find relief. It is amazing to me how powerfully this works to dispel dark states of mind. If we identify the gifts that the Lord has entrusted into our care, and then reflect on how we can nurture those blessings with the guidance of the Word, the Lord often seems suddenly present, bringing new clarity to the situation. This can be a s powerful as it was that night when the angel appeared to the shepherds and “suddenly there was with the angel a multitide of the heavenly host praising God and saying: ‘Glory to God in the Highest and on earth peace, good will toward men'” (Luke 2:13-14). To feel that peace, consider the blessings in your life relative to your concerns. Reflect a moment and ask yourself how the Lord would direct you to care for those blessings. With light from the Word you can be guided to a place of peace.